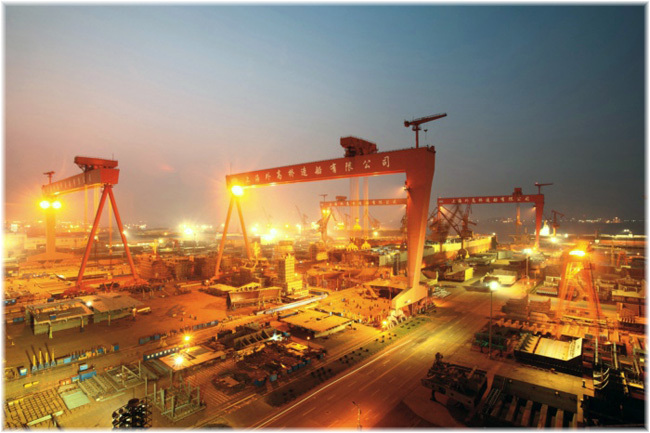 After several years of discussion and development, China is finally close to ordering its first purpose-built cruise ship, which could be delivered in 2010 under the auspices of the recent Carnival-inspired round of negotiations with China State Shipbuilding and shipyard group Fincantieri of Italy. Still in the Far East, Japan’s Peace Boat organisation, which has for several years been chartering cruise ships for round-the-world itineraries, has announced that it intends to build a ship of its own, known as the Ecoship project. Finally, like Royal Viking in the 1970s, Viking Ocean Cruises is expanding its itineraries to North America and the Caribbean, starting with a Transatlantic voyage to Montreal in 2016. 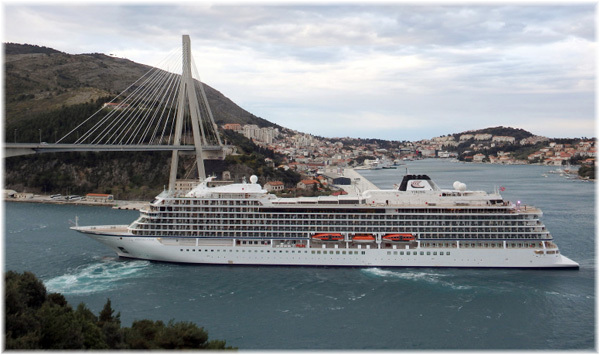 Viking Ocean Cruises has announced that it will be extending its itineraries to North America and the Caribbean in 2016-17, as well as offering the line’s first Transatlantic voyage with its 930-berth Viking Star. The 15-night Transatlantic crossing will leave Bergen on September 18, 2016, and visit ports in the Shetlands, the Faeroe Islands, Iceland, Greenland and Newfoundland before finishing in Montreal. From Montreal, the Viking Star will offer a 13-night voyage along the St Lawrence River, through the Canadian Maritimes and New England to New York. A 15-night Eastern Seaboard itinerary will then depart New York for San Juan on October 18. The line’s main winter itinerary in 2016-17 will be 11 nights from San Juan, operating between October 2016 and February 2017 and calling at Tortola, Antigua, St Lucia, Barbados, St Kitts, Guadeloupe, St Maarten and St Thomas. The return Transatlantic trip will then leave San Juan on February 25, 2017, for Barcelona. Viking Ocean will take delivery of sister ships Viking Sea in 2016 and Viking Sky in 2017. Peace Boat, the Japanese-based non-governmental organisation that has been running educational voyages for peace and sustainability since 1983, has announced its new 1,700-berth Ecoship. The proposed new vessel is designed to replace the various vessels Peace Boat has been chartering in years since 1990 for world circumnavigations. Designed as the world’s greenest cruise ship by Oliver Design of Vizcaya, Spain, a donor or investor is being sought that could see her make her maiden voyage in 2020. The plans for the 55,000-ton eco-friendly cruise ship have been developed by a team of over thirty engineers, scientists and thinkers from the fields of ship-building and eco-technology that include renewable energy, architecture, biophilia and waste management. With the proposed ship’s hull form inspired by a whale, the vessel’s ecologically-friendly features will include ten retractable solar-panelled sails and retractable wind generators, as well as a future-ready hybrid diesel/liquid natural gas-fuelled engine. With projected cuts in CO2 emissions and impressive energy efficiency, Peace Boat’s Ecoship would become a flagship for green technology in passenger shipping, serving as a model for cruise operators worldwide. The Ecoship will sail for Peace Boat’s around the world educational voyages, carrying 5,000 passengers a year, as well as hosting exhibitions of green technology in up to eighty ports a year and serving as a floating laboratory to contribute to research on the oceans, climate and green marine technology. 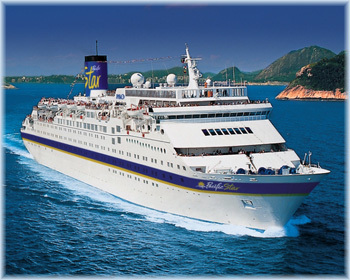 Peace Boat’s present vessel is the 1,400-berth Ocean Dream, built in 1982 as Carnival Cruise Lines’ Tropicale. Peace Boat’s 90th Global Voyage leaves Yokohama this Thursday bound for China, Vietnam, Singapore, the Maldives, Mauritius, Reunion, Madagascar, Mozambique, South Africa, Namibia, Brazil, Uruguay, Argentina, Chile, Easter Island, Tahiti and the Marshall islands, returning to Yokohama on March 20, 2016.